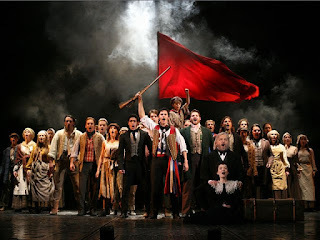 Can you believe it is already the 7th of November? Well that means Christmas is just around the corner (eek!) especially for all us lovelies in Europe who don't have the American Thanksgiving holiday to buffer between Halloween and Christmas. 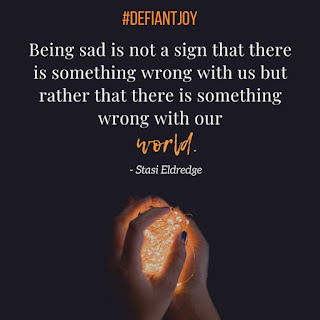 But don't be downtrodden. 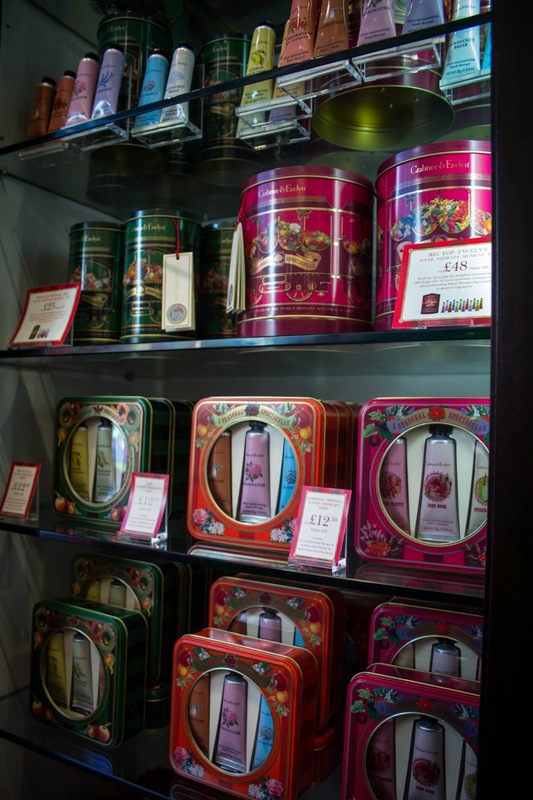 That also means its time for all those lovely Christmas fragrances, fudges and options galore for gift giving! musical tins! playing 263 Sleighride by Leroy Anderson. 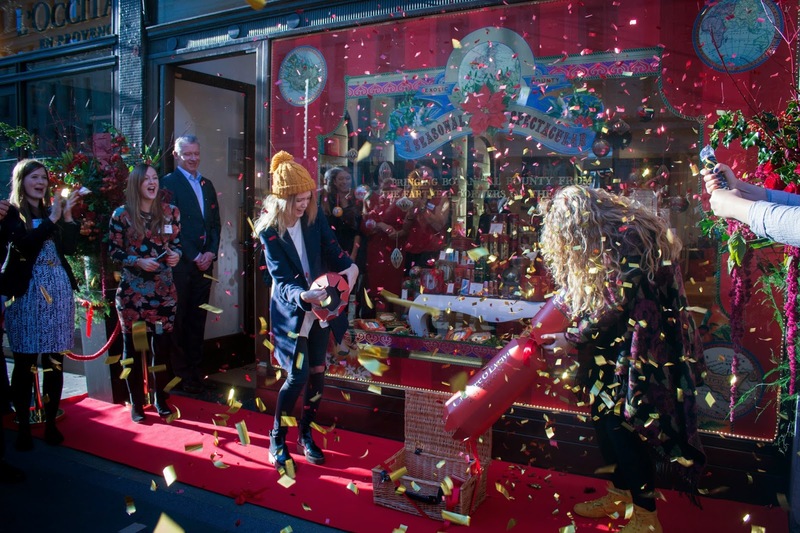 Yesterday I had the pleasure of being invited to attend the Crabtree and Evelyn #CrackerSpectacular press preview. 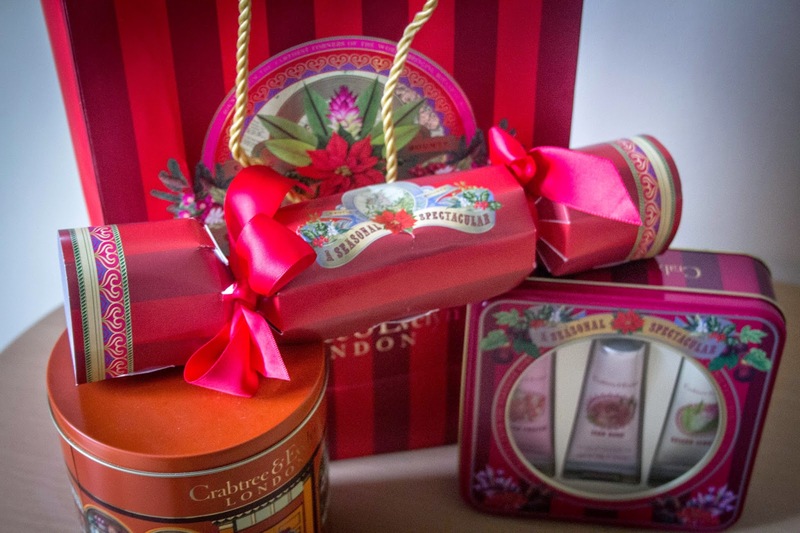 And I came away smelling delightful (thanks to testing out Iced Rose, the new limited edition hand cream), armed with a lovely bag thanks to Crabtree and Evelyn of goodies to tell you all about and an excitement for the Christmas seasons. For those who adore home fragrance as much as me, there are two scents to choose from this year. 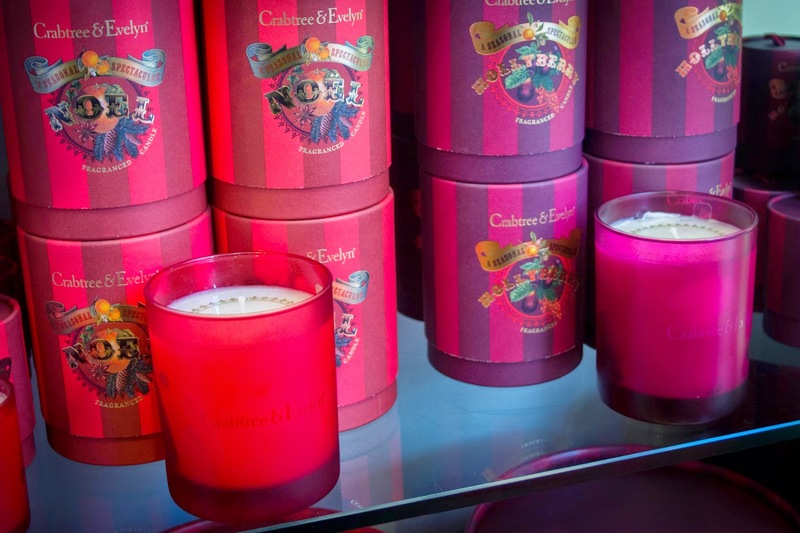 the ever popular NOEL - a blend of fresh balsams, persimmon and citrus fused with spicy star anise, clove and nutmeg - and a new HOLLYBERRY - inspired by crimson berries and fresh, green leaves with notes of red currant, coriander, fig, nutmeg and precious frankincense. They both smell divine and will have your flat/house/office smelling lush and will easily warm your heart up this winter season. The scents can be bought as candles, diffusers, fragrance oils (which I learned can be used to scent pine cones!! genius) and fragrance sprays. I absolutely love the festive and heartwarming packaging this season! And the gifts can be multi-used making them all the more economical and practical. 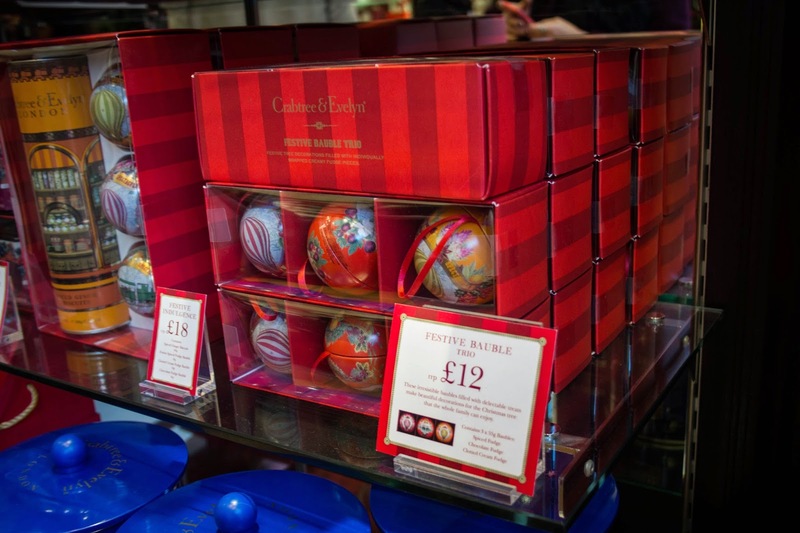 These festive baubles for example are £12 and can be used as tree decorations AND also are filled with fudge!! 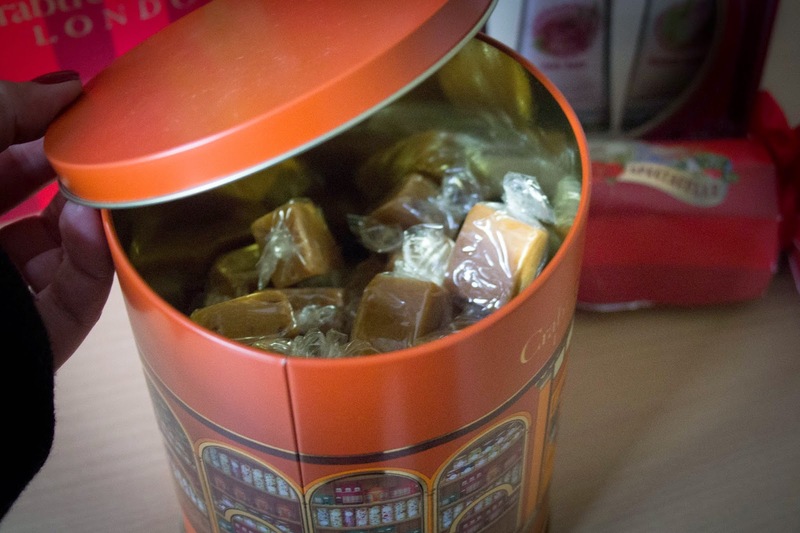 And heck why not use them after the fudge has been eaten to fill with Christmas wishes and prayers to hang on the tree? 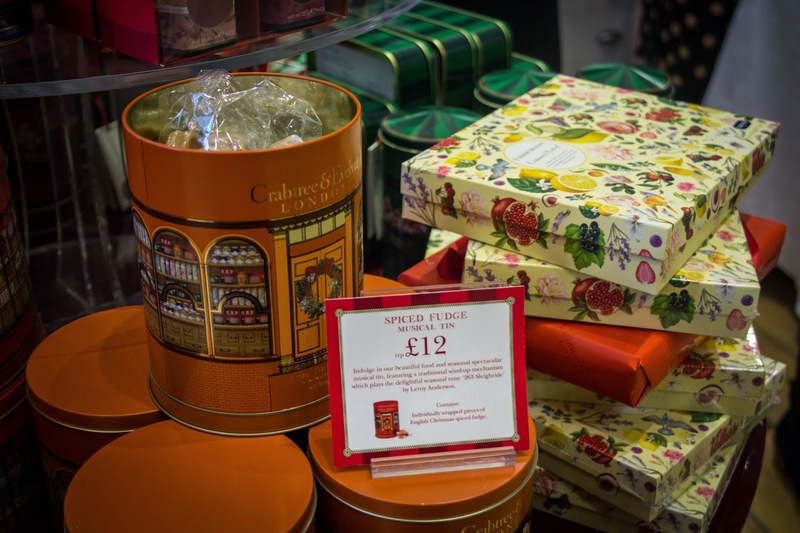 Of course, there are also the musical tins of fudge that play festive tunes and the fudge is packaged individually so there's no fear of it getting dried over the season. For the 2014 Christmas season, Crabtree & Evelyn's hand therapy family has added three new and lush creams... Iced Rose (think Rosewater + evergreen), Spiced Ginger and Frosted Fruits (citrusy). They again come in a gorgeous tin (£12.50) that can double up to hold Christmas cards or some other lovely keepsakes during the holidays. Really I cannot get enough of the gorgeous packaging! All products have some lovely and festive packaging -- go check it out. 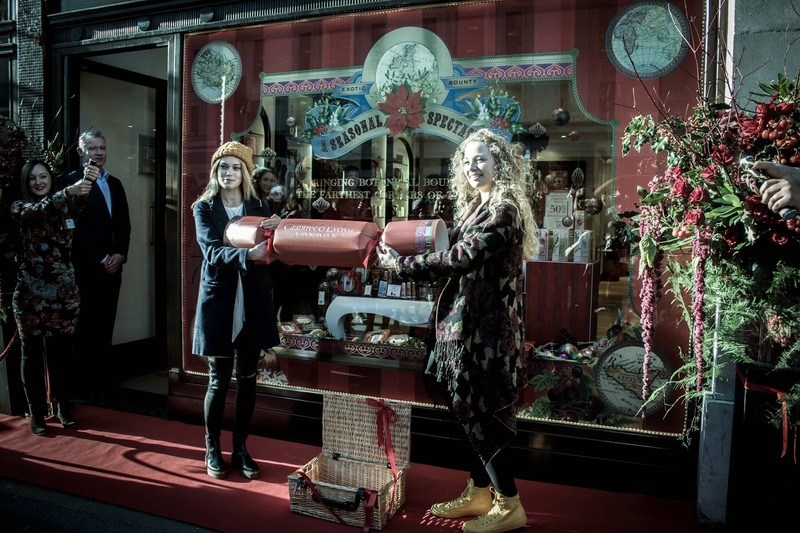 Towards the end of the hour, model Kara Marshall and actor Carrie Fletcher had the pleasure and honour of pulling the gigantic Cracker Spectacular in front of the Regent Street storefront to announce the official launch of this great Christmas season at Crabtree and Evelyn! doesn't this get you in the spirit of things? Do you love crackers? Do you enjoy gift-with-purchases? 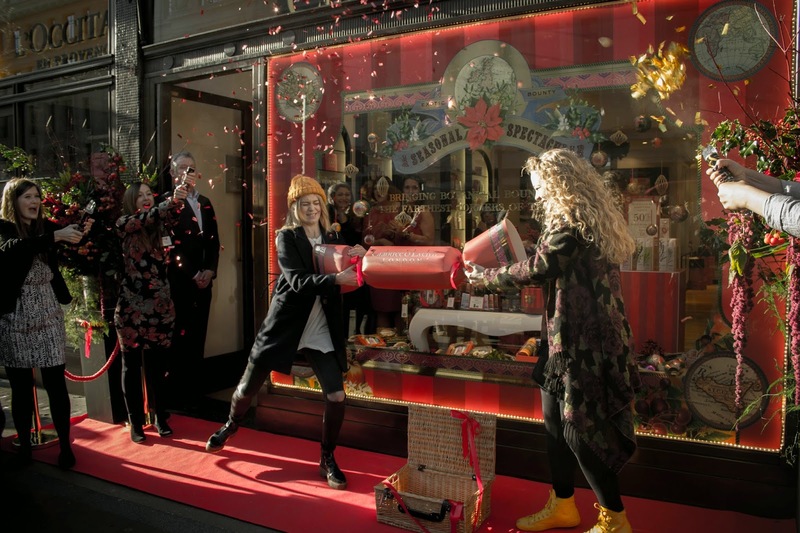 This might be your lucky season because up to 5,000 lucky customers per store in the UK will have a chance to get a free cracker-themed scratcher card and a voucher that can be redeemed WITH any purchase in store. 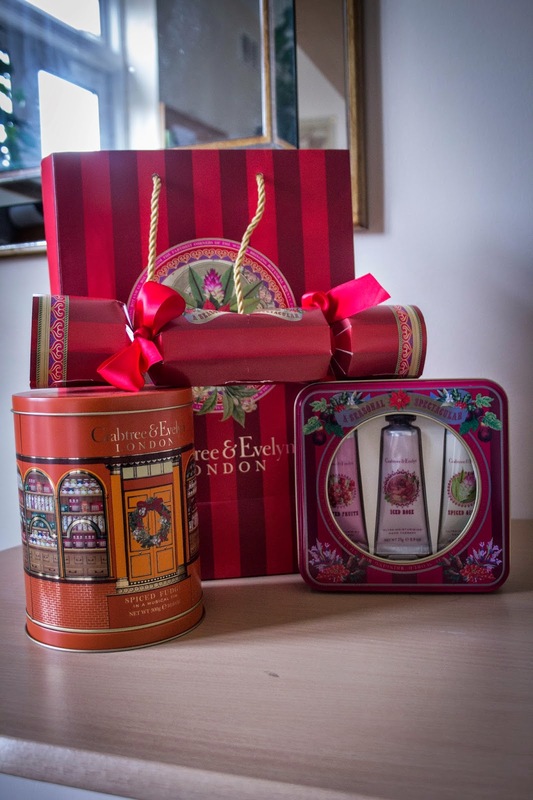 I was excited to get the tin of limited edition hand therapy lotions as my gift (Thank you, Crabtree and Evelyn!) and you can too if you recite code phrase "Cracker Spectacular" at the register! So hurry in and try your luck while getting swept away into the Christmas festive season in store. 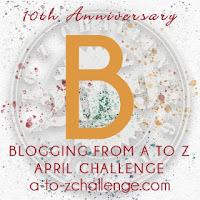 Enjoy and do let me know your favourite new seasonal products! Disclaimer: My gifts were thanks to Crabtree & Evelyn but my opinions are solely mine. 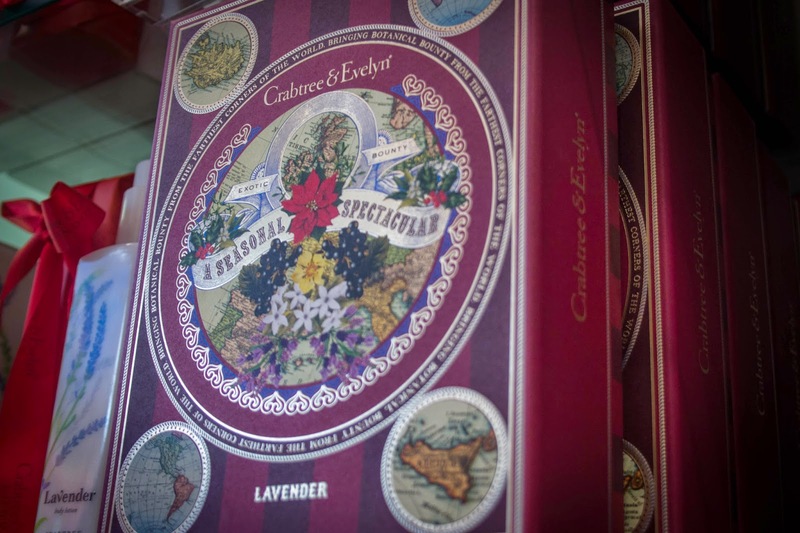 A special thanks to Sofia from Crabtree & Evelyn who was a gracious guide and hostess during the preview.